On January 2, 2011, the Honorable Minister Louis Farrakhan gave a very dire forecast and a stern warning for the future of Black people here in the United States of America. 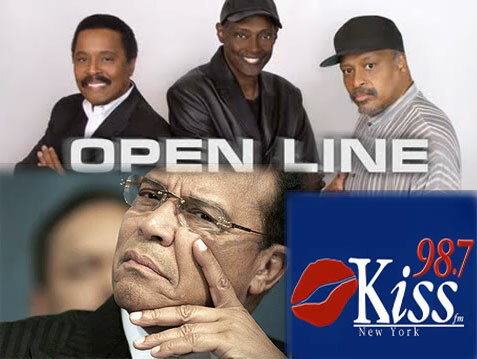 The interview aired live on "Open Line" on New York's KISS 98.7 FM. If you're looking for guidance for this New Year, please listen to this, digest it and share it. The image above and video below was posted on YouTube by Troy X, who has over 4,000,000 upload views of messages by Minister Farrakhan. Thank you brother! Please view more videos at the account Ahmad770. I was so pleased to hear this lecture. Comments were stated that the honorable Minister was so grim. People do not want to hear a 'grim' message, even as the Scripture says...'speak to us good things, not things of woe'. And yet, the 'things of woe', true to the minister's comments, are what is coming upon us. It is grim, yes, but it is the absolute truth. We can only prepare ourselves for what is coming by first acknowledging the truth of what is said, not the 'good things' we prefer to hear (that are false). Falsity is what we have always had. Now is time for critical truth. Thank you, Brother Minister, for that critical truth. Amen Minister Farrakhan. What goes around comes around. Thank God he made a way for me, my husband the King and family to escape! People thought I was being punished by God, but they never thought he was preparing a place on Earth for me somewhere safe. I am so precious to My God that he brought the whole world to fight for my life, rights and pursue of happiness. Thank You GOD! I saw what the Minister was taking about twenty years ago. Open your eyes! Thank you brother Minister. May Allah continue to bless you and your family. I'm grateful to Allah for The Honorable Elijah Muhammad and the Honorable Minister Louis Farrakhan .. Praise be to Allah. Hallelujah!!! This is the Minister I remember. WE have been longing for ALL PEOPLE to begin reaping what we've been sowing. The good, the bad, and the ugly. The righteous are willing and ready to reap what we have sown. Righteousness is not exclusive to any particular skin color either. Righteousness is of the Heart! Come Righteous Judges . . . Come! This interview is critical! I've listened to it five times! !